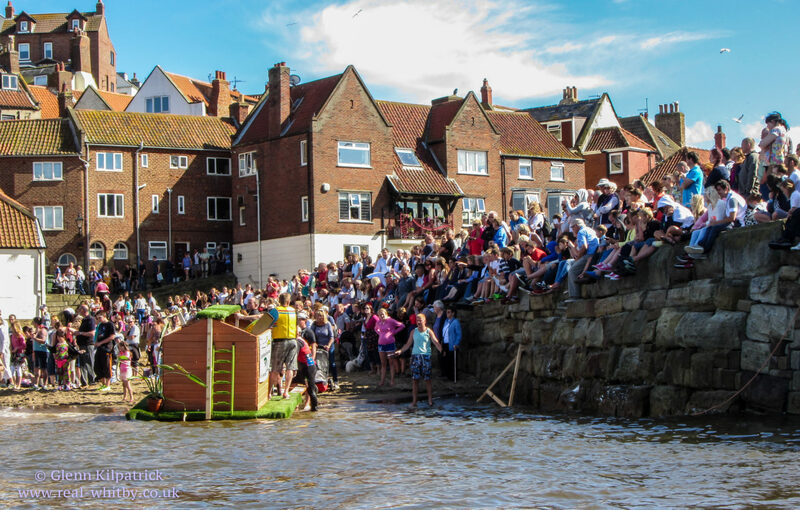 The Whitby Regatta has taken place for over 170 years and is probably the longest running sea regatta on the North East Coast of England. In August every year the regatta offers a full weekend of yacht and rowing racing with the addition of various other types of entertainment around the town. The weekend is then finished off with a spectacular fireworks display. This year it takes place from 10 – 12 August. The Regatta started off as a much less grand affair back in the 1840’s with the local fishermen competing in their small fishing boats and salmon cobbles. In 1847 The Royal Yorkshire Yacht Club promoted the Whitby Challenge Cup, offering a prize of 50 guineas for the fastest yacht. From then on until the 1930’s the yacht races became the greater part of the Regatta. Gradually the yachts were seen less and less, partly due to the high cost of building the vessels. In 1872 The Jet Works Amateur Rowing Club was formed, and this marked the start of competitive rowing races. Following years saw the addition of rowing teams from nearby Scarborough, newly formed teams from Whitby and even Tyneside. In 1929 fancy dress and decorated floats were introduced to the annual weekend. 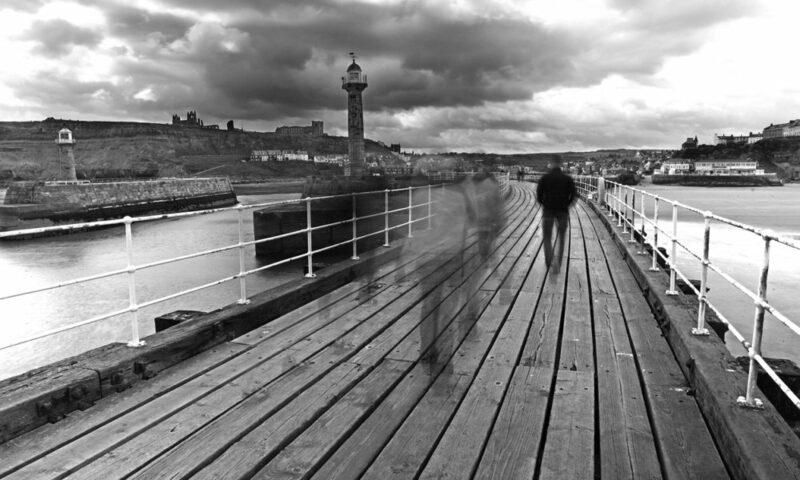 This still forms part of the Whitby Regatta weekend and Carnival. 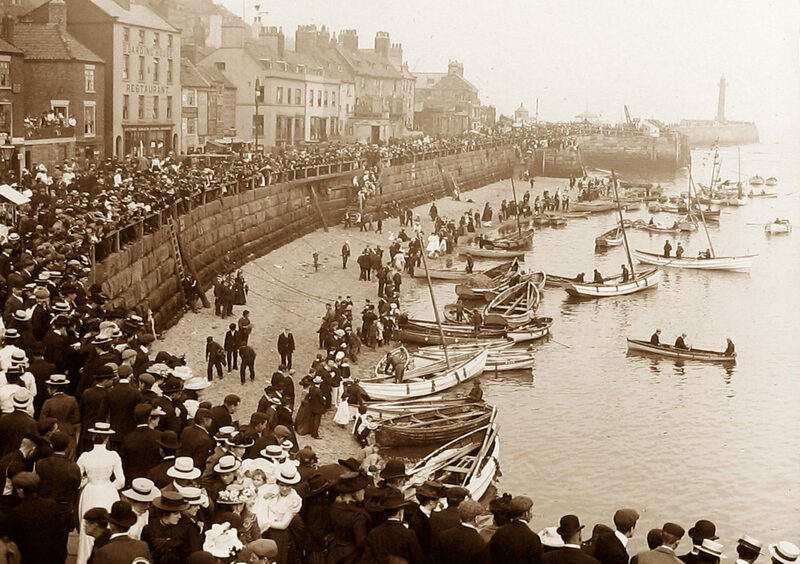 Back in 1900 there was a recording of there being 11,000 people in attendance, nowadays Whitby sees closer to 20,000 people over the Regatta weekend. As well as the boat races there is also a raft race which usually offers much entertainment to spectators and a fun run is also organised. Also on offer is live music at the pier bandstand, birds of prey display, a market and craft fair, scrufts dog show, a kit car rally, motor club display, classic car rally and loads of entertainment for children. Rounding the event off on the Monday is the grand parade of fancy dress and decorated floats, followed by a fireworks display in the evening.